Henry Zhu is currently a steward for Babel, and today he'll be discussing the management and lifestyle side of working on an open source project full-time. The financial side to open source is interesting. Henry talks about where he gets his money and how he can be financially independent while still working on open source full time. Most of the money comes from donations through Open Collective and Patreon. A lot of the donations come from users, but corporations do donate as well. Henry also discusses the stability of it, and how the NPR model of asking for donations can lead to uncertainty about the next month. Henry says he's enjoying the management and marketing side of being a steward about as much as he enjoys coding. It's a side that people don't often think about with open source. This side of it includes a lot of marketing and interacting with the greater community, as well as the other maintainers and contributors to babel. How does Henry handle all this responsibility when there is no one above him telling him when to take a break, or when to go on vacation? Henry and Joel talk about having a positive "selfishness", and taking care of yourself so that the project can prosper. If you want to be doing it for years you have to make sure that you don't burn out. Joel Hooks: I have a list. I went and internet stalked you a little bit, like in listen to all your podcasts and went back ... Obviously, Babel comes up a lot and people want to talk about that kind of stuff. Joel Hooks: Which is interesting technically, but personally I've been interested in what you've been doing lately in terms of ... this idea that I can do open source and I can get myself funded. As an independent, I can go out and get myself funded. Because so much of open source that I see, is it says corporate funded. Joel Hooks: It's either being funded by a global ad network or being funded by everybody's favorite, binge watching of television service or what have you. But what's this idea that we can go out and we can do good work and do open source but then also fund it which is a pretty significant problem, right? How do I do that as an independent person? That's been really interesting to me to watch as you kind of make that leap from working at a corporation to working open source full time. I'm really curious how that's going for you and the sustainability and stability of that process and the future of it. Henry Zhu: For sure. I think that is a lot more interesting to me and I'm sure most people 'cause you can look up all this stuff about Babel and a lot of people can talk about the technical parts, but that can apply to anyone. And sure, a lot of people inaudible 00:01:34 aspirations of doing something like this too. Joel Hooks: Yeah, we talk to people all the time and I know a couple other people that have done this. Like, Andrew Stoltz quit his job. He's calling himself full-time open source, is what his doing. Which, he maintains through consulting and doing gigs and that sort of thing. Which is definitely an avenue, right? Like an approach but when you start consulting you're taking a full-time job usually depending on the gig so it has its drawbacks too. Henry Zhu: Yeah, and I think if, the problem is a lot of the ways of doing this are not really maybe what you set out to do or specifically doing open source. If you're doing consulting then that means you're doing consulting you're to working on open source unless they're paying you to work on in which it seems to be rare. Joel Hooks: Yeah, and I think a lot of companies if they're considering paying for open source they're paying for a feature. They want something specific and then a lot of times that specific thing they want made may not even be in scope for the project. But we're paying you so you should be adding this. And it's like, Well actually ... managing that kind of stuff. Henry Zhu: Exactly and that's just not, it kind of goes against the spirit of open source. I mean maybe the thing that they want does apply to everyone but it's just kind of a weird kind of give and take. In my mind it should be that companies should trust the maintainers to figure out where they want the project to move and obviously maintainers want feedback from the community but maybe not in that specific way and may want to hear the use cases. But ultimately I think the maintainers should be able to decide what goes in and in some sense all these companies are already relying on them to do it currently without paying for them. So, it's like there shouldn't be any difference. Joel Hooks: I think the role of maintainer is also interesting. Because I think a lot of folks when you think about open source software the first thing you're thinking about is the software portion event not the actual writing of code. Where in my experience that's a part of it, that's a huge part of it no doubt, but then there's also this whole other part where it's more of a project management. It's almost a marketing job. Henry Zhu: Yeah, exactly. And I find that that part I guess it's kind of like a hidden cost or people don't think about it and most people aren't maintainers anyways so they don't really know what goes on. And I'm finding myself that's the part I don't want to say I think I like it more than the actual coding but that's taken me awhile to learn that and I also don't really know that much about it so maybe that's also exciting too. Where it's like, "Oh a different kind of skillset." Like what you said whether it's marketing or project management or just trying to deal with people whether it's on your own team or a community. Joel Hooks: Yeah, you got to make sure the documentation is up, the code, the goals, the coordination. It's like a facilitator role in a lot of ways to connect and shield the actually developers. Sometimes they don't need to deal with everybody's personal preferences all the time. inaudible 00:04:49 that and helping distill it into something that's cohesive. Any good, especially something like that because it's a driving java script in a lot of ways, like modern java script just fundamentally driven by Babble at this point. Henry Zhu: Yeah, I think facilitators a good word. We've used words like maintainer, facilitator, I've used the word steward. I think those words kind of give a different connotation where it's not like the whole dictator thing where you do need to make decisions but in the end you're trying to bring people together and figure it out together how we should move forward. And you might not care about the individual specifics but just the overall workflow of what people do and trying to figure out where do people work the best. Henry Zhu: And trying to figure out they don't just have to, especially for new people, where they're always trying to, they want you to tell them exactly what to do. Which you can do but to make it actually scalable and maintainable we want you to figure out what interests you too. Which is hard because the problem is that there isn't really a maintainer role people normally take on it's that you have to do all of them. So, you are the maintainer but also the developer because there's only like two people on the project. Joel Hooks: Yeah, I did back in the Flash days I kind of had the facilitator role in an open source project. And honestly it launched my career. And it started with writing docs which isn't, I listened to a podcast that you're on you talk about you got in and you start doing the thing, right? This thing I understand. And I think that's what people have a lot of. You get in and you want to do a code commit or add a feature, you're getting into a lot of almost politics at that point. You have to weigh all these decisions but you want to get in and spruce the docs up and add an example it's the barrier to entry inaudible 00:06:42. Henry Zhu: Right and they're more willing to merge it instead of do we even want this at all? That kind of thing. Joel Hooks: Yeah, if you start talking about code that's a deep discussion but if you start talking about docs it's still super important but at the same time one a lot of times core developers are less inclined to really care so much about the docs. They're focused on the algorithmic problems. Henry Zhu: So, most likely there's a lack of docs so they're willing to take it in. Joel Hooks: Yeah, that's why it's a great, it's such a great, I can't recommend that enough to folks to get out there and look for that kind of opportunity if you want to breaking. 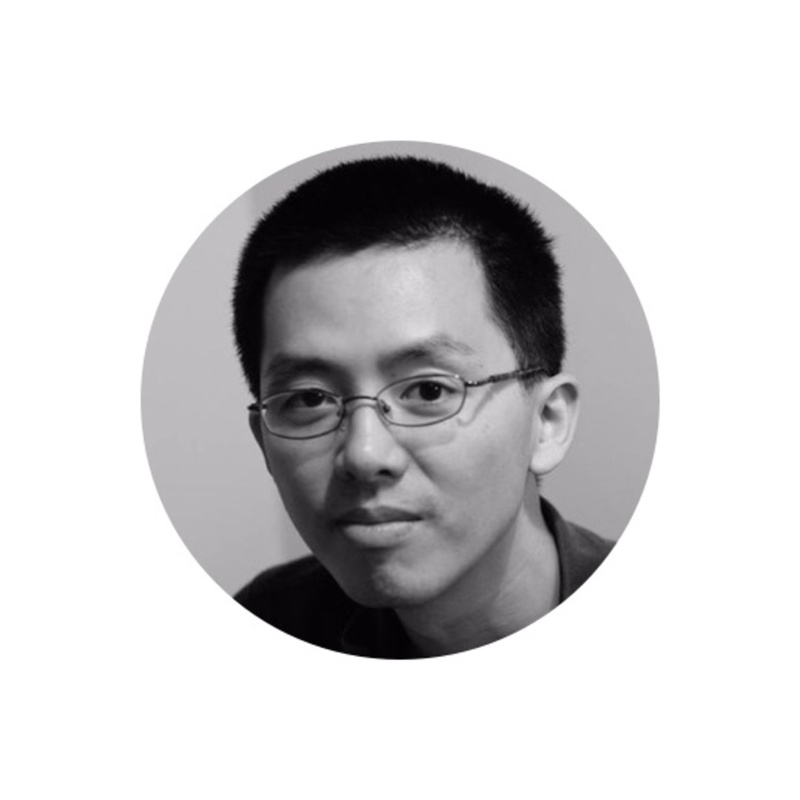 Henry Zhu: It's hard though because I know that it is easier but at the same time obviously you need to know about the product or the code or how to use it at least. And usually the people that know it the best are those core developers it's just that they don't prioritize it. So, there's definitely a learning curve for sure. But yeah, you're right it's definitely more approachable than other aspects. Joel Hooks: One thing I kind of noticed and it's a little on the negative side of the internet and maybe it's just the internet as a whole. But there's this underlying culture of complaining whether it's on Twitter or in issues and comments, comments are horrible, but as a maintainer as the shepherd of a project how do you approach that like people's general, like the negativity? It sometimes might feel a little overwhelming. Henry Zhu: Yeah, that's always going to be hard to deal with. I think that also like people have a solution to how this works per se. Some people might say something like, "Okay maybe start muting, blocking everyone and turning off issues." That kind of thing. And that will probably work for a lot of people. Or responding in a positive or nice way no matter what they say because sometimes they're just frustrated or just misunderstood and if you respond in a welcoming way they'll realize that you're just the person or a human too. But I think it really depends on the situation. It's like I guess, yeah, I mean I think most of us know there's no formula it's just hard. Henry Zhu: And yeah, there really needs to be some kind of cultural change and I feel like the way we go about doing that is through kind of changing the environment that we work in. And I don't know trying to change the habits that we have which are how we use these tools whether it's inaudible 00:09:13Hub or Twitter, or Slack and it's like the way we use them kind of changes how we act. So a simple example is like the fact that we have notifications and it's kind of like email where it makes you want to look at every single one and kind of the whole inbox zero but same with inaudible 00:09:33Hub and it's like oh I need to have zero notifications and then you keep wanting to look at them when you shouldn't be doing that your whole day or week because there's just going to be thousands of those all the time. Joel Hooks: It's global too. So, it's everyday 24 hours a day not just during work hours in the U.S.
Henry Zhu: Right, exactly and that kind of goes into the maybe implicit idea that if you're a maintainer you're kind of like always on call. And people are going to message you, direct message or notification like, "Hey can you help me with this thing?" On every single possible medium and then you make it so easy for anyone to notify you and so there's that side. And the other of we all want to be inclusive and open and so those things combined together and then you're going to feel overwhelmed even if everyone is nice which is a weird situation to be in. Joel Hooks: Yeah, you said somewhere I can do this full-time and it still isn't enough. Joel Hooks: Right. And to me there's a lot of interesting correlations between running and open source project and actually running a business. It's like a business except the payment model is almost nonexistent. Because running Egghead this isn't the first time I've ever had a business but I've done that role on open source and I was like this is very much the same. Because it's like people have preferences people want stuff a certain way for themselves or they're just confused or sometimes often even angry maybe even justifiably so. Joel Hooks: So, how do we deal with that? And kind of smother me with niceness or go the ignoring route. To me the maintainers mental health or the business owners mental health over the longevity of the project is super important. You don't have that, if you can't stay happy, if you can't enjoy your work then that doesn't help the project or anybody that's using this, right? Joel Hooks: I think a lot of folks look at the business side and the marketing side as almost unsavory. And it's probably easier when you're on a corporate open source project because you're already dealing with it. You're inside of a business and they kind of have those models and everybody's making a salary and that sort of thing. You have to start being creative almost when you're an Independent and working on an independent open source project. Henry Zhu: Yeah, the creative part is interesting because it's like you have to really want to do it. I think a lot of people would be okay with doing open source if they got paid but if you're not then you really have to desire it anyway. So, I know that changes things. Joel Hooks: It's like the word hustle, right? It can have a negative connotation or positive ones. You can hustle in a positive right, you're not hustling people, you're out there just doing your thing. It's like you're on tour, you've been on the west coast and you're talking to businesses and I'm sure part of that is to increase your funding and increase the support for Babble and this open source project that we all rely on for deploying our applications that pay our bills. So to me it makes a ton of sense and I really, I've just been impressed watching you and your approach to this whole thing because I think it's pretty balanced and sane. And ultimately it feels like I think you can be successful with this from my vantage. Henry Zhu: Yeah, I think one thing I am trying to do is while doing this I want to make sure that I don't compromise what I'm setting out to do. I obviously need to make money but one of the issues I feel like I'm going to face and I am facing is when you're in this business money mindset it kind of in some sense goes against some of the, I don't want to say well maybe values of open source where it's not that you can't make money but maybe it will lead you in a direction that becomes all about money rather than about people and relationships and helping people. Henry Zhu: And so, exactly what you said, it's like how do you keep that balance so that you don't end up doing something you didn't think you were going to do earlier. It's kind of like throughout the process of doing all this stuff you might get caught up in how other people do things in the startup situation or a different kind of business. I think the open source way is more of a, kind of a non-profit type of thing. You need to sustain yourself but ultimately your goal is a little bit more beneficial than just getting profit per se. Joel Hooks: Yeah, in the corporate world there's I think B corps which is a public benefit corporation is one of the structures they have here in the U.S. that allows you to build a business and the idea of being, ultimately this business is here for the public benefit. And it's a service that is offered to everybody with inaudible 00:14:55 access to this which is what open source is. I think in a lot of ways, I read a lot about free and open software and open source and the way it was almost co-opted by corporate America in terms of a lot of people accuse corporate America of using open source as a way to garner free labor. Which I think is actually a valid criticism but it's also pretty negative and kind of cynical way to look at the whole thing. Because it helps everybody not just mega corps or whatever. Henry Zhu: Right, and I think the fact that it's free means that people weren't able to pay for whatever proprietary thing. It definitely lowers that barrier of use. Obviously the problem is that companies can get way more use out of it and they don't have to give back. But I think that's something that's slowly changing and hopefully I can be apart of doing that. I think with stuff like Open Collective, Patreon, and just I guess different examples it definitely seems to be changing. I think we just really need to change to make it a little more like oh well this one company the size that they can do it and other companies will want to continue to join them. Joel Hooks: Yeah, it's like you'll see the tip jar with a dollar it will prompt other people. Henry Zhu: Right, and that was something it was hard to think about because I was thinking if you don't have a lot of money you would think maybe would people want to support you even more? And then, the psychology of like oh if you have a lot of money maybe they won't want to donate because they're like oh they're doing okay. But it does seem like it's basically the more you have the more people will give because I guess that's the same as Kickstarter or GoFundMe where it's like once they have a lot you are willing to give back to something that is already going to succeed or you think is going to succeed. And if you don't think it's going to succeed you're less likely to help out. It's interesting. Joel Hooks: On the business and marketing side of it one of the interesting, like pricing a product is super hard and its very stressful and the mantra is charge more, right? The reason is people actually perceive value as this huge thing you can sell a thing for 10 dollars and maybe to you it's like eh it's just worth 10 bucks which will actually cause a certain sector to not be interested in it where as if you charged 500 dollars for the same thing then these people are like, "Oh this is a really valuable product. They're charging 500 dollars." Henry Zhu: Yeah, I remember hearing something about that too. Say you wanted to sell your sofa and it was like 10 dollars but then you do 200 dollars and suddenly everyone wants it. So, that's really, it is interesting. And I guess because it's free then it's even worse because it's not even anything then. Joel Hooks: Oh people value free stuff so little. So we run a photography business and we give away free photography and those were the worst clients. The most demanding, the most complaining. Whereas somebody that paid the most money if they paid us 10,000 dollars to shoot a wedding that would actually be a really good client and they would be agreeable and they would look at the end result as it contained more value. Which is, I mean it's psychology and humans are so weird, incentives are so weird. Henry Zhu: Yeah so it makes me wonder that's kind of like a fundamental issue with open source because it is free. So, we're always going to have this inherent group of people that are going to act like that unless we change I don't know the conditions in which they decide and use open source. I don't know I guess part of my talk from inaudible 00:18:34 was about how when I first started using open source you might not even realize you are and the last thing you're going to do is think about who works on it. So just from the beginning you're already not thinking about people and what's happening to the project but just the fact that it exists. It's not on their minds. Joel Hooks: Are you familiar with inaudible 00:18:53 and her keyvalues.com? Have you seen this website? Henry Zhu: Lynn ... I don't think so. Joel Hooks: So, she runs a website and it's called keyvalues.com and basically it's a job board but instead of traditional sort by pay rate or location you actually choose through a list of key values that the company holds. Like inclusion or work life balance or ... it's a pretty big list. She has like 50 items. And to me this idea of defining as a company or as a project defining your key values and then expressing them publicly like these are our key values this is what we hold. This is how we operate. Joel Hooks: I think is a really powerful approach to bringing in and drawing in community or coworkers or what have you. Which inaudible 00:19:37 community and that's such a huge aspect to open source. And I don't see that a lot. I see code of conduct. And that kind of approaches the same thing but really it's not explicitly like these are our values. This is what this project is about and the agreed upon value system which I think is just interesting and I haven't seen a lot of it. Henry Zhu: Yeah, no, I think that's really cool. I feel like code of conduct is more of, it's almost on the negative side, you're kind of assuming something bad is going to happen and this is what we do when that happens. But this is more like oh these are positive values that we want to aspire to that you might want to look into which yeah I don't think people really talk about that or have any documentation on that. Joel Hooks: Ultimately one of the coolest side effects to me of dealing with the open source and being involved with this has been the relationships we build, like true friends, lifelong friends that have come from collaborating and being part of the same community on open source. And that to me even beyond the ability to get some software for free and build a thing on the internet, the ability to make friends and grow as a human in that way has been really awesome. Henry Zhu: Yeah no, I totally agree. I remember just saying a few weeks ago when I did go to Seattle it was so interesting to be able to go to a city and be there for my first time and have people that want to meet up or even stay at their place because I didn't have a place to stay. That's pretty amazing to be able to do that through open source. Joel Hooks: Yeah and I mean it's almost an instant bond too. Maybe we can only talk online but you meet and it's like getting to know an old friend and just comfortable even. Time and time again it's not even isolated. It's not a couple folks it's been dozens over the last years I've been involved with this stuff. Henry Zhu: Yeah exactly, yeah. Joel Hooks: But getting to brass tacks and financing and getting in and having stability I think the, I actually have kind of a problem with the donation economy around open source and providing resources mainly because of stability, right? This month you can be getting a certain level of income but next month somebody might decide to pull their contribution or their play. That's kind of the NPR model, right? Public radio where we don't really know what we're gonna get next month. We're gonna ask and we can have kind of an idea but how do we deal with that and what models are you looking at anyway to make your life more stable as open source maintainer? Henry Zhu: Yeah I definitely experience that first hand. When I first did the Patreon I was pretty surprised I even got anything. In the first three days I had like 2,000 and it went up to like 3,000 a month. But what happened was after the first month two of the people gave me a thousand dollars a month and they couldn't do it anymore. So that why it went down to a thousand. So one day it's like, "Okay minus 2,000." Henry Zhu: So that number doesn't really say how, whats gonna happen the next month at all or, like what you said. So that is a good kind of passive thing where it's like, "Oh maybe it will slowly increase and every month people will drop off and people will join." But yeah you definitely can't rely on that unless you've been doing it for a really long time and those people continue to give. But it does seem like if it's not a large company or someone else that's stable that they're gonna, yeah they could drop off at any point. Joel Hooks: Yeah it's almost like a numbers game. If you 500 people giving you 30 dollars a month, that's like 180 grand a yeah which is, that's a really solid living wage. But if you have three people giving you a couple thousand dollars a month and one of those goes away it really effects it versus the kind of numbers game once you have inaudible 00:23:31. Henry Zhu: Right, yeah. SO it's like you want a lot of giving you, well not really give you a small amount but giving you an amount. But then it's just you don't really know that many people and then also you almost feel weird where it's like, "Why are the developers the ones that have to give the money to you when the companies could do it?" Joel Hooks: Yeah and I saw you had, well it's the I think it's the open collective, Adobe went for a year long maintenance contract. But that's pretty cool that approach is pretty interesting. The idea a corporation would dig in over a period of time versus one month, right? A year is a different scenario. Henry Zhu: Right because they could do the one year and then half way through the year they're like, "Oh we don't need it anymore." So it does seem like in terms of just getting yourself started doing the bulk up front is a lot better. Maybe later it won't matter as much but now it's like, "Okay that's really helpful." Just to make sure that we're sustainable in the next few months. And yeah that was a good, that was probably my first big, I don't know even know what you call this but set of funding because it was a big company and then I guess other people and other companies are like, "Oh we want this kind of service too." That would be really useful if it's like a starting point. And it's also not exactly like consulting where I'm spending lots of time where its low amount of hours so that's really helpful too. Joel Hooks: Yeah it's like questions and priority support basically, is that the general gist of it? Henry Zhu: Yeah basically like support hours. Joel Hooks: So one of the things and actually this is the reason Egghead exists because when I first, when the idea was sparked it was John Lindquist had his 50 videos on YouTube and he was giving away for free which is awesome and people do that and I was like, "Man you should really be charging for this." And he was like, "Well I have a donation button." And I was like, it's busking almost, right? Like you're at the street corner and just hoping people toss money crosstalk 00:25:32. Joel Hooks: Which is fine and people do that and I think it's an okay model but my idea was well why can't we, if we're gonna teach and we're gonna share this knowledge and obviously people will pay for that sort of thing. People want to educate themselves. That was where the idea was like, "Let's do this instead we'll charge a fee and a lot of people access." Which ultimately what the business has been about. Content creators are able to earn a sustainable income versus, well or in addition to the asking people for help I guess. Henry Zhu: Yeah and then for Egghead it's not just one persons content but all the creators. So you're paying for access to everything. So that really makes it different too. Henry Zhu: Yeah that makes sense. It's just I have this very naive view of material for free but it's, I guess it shouldn't prevent you from making paid content or that kind of thing, so. Joel Hooks: Well there's also, so this is getting back to more business and marketing, right? There's this idea of tiers. So a lot of times if you're starting and or software as a service a lot of times they'll start with a low tier, like the free tier, right? Like, "Get this guide." Or, "Get this thing." But then if you also want these extras you can get this. Or if you want the mega extras you can do this amount and there's a ratio, like a price ratio, zero free obviously you multiply that by anything it's still zero. Joel Hooks: But just this low barrier entry where you're delivering value, you're giving enough to get started, you're contributing that way. Because I agree we have like 30 or 40 free courses. Which like 30% of our courses are actually free which I love. I want people to learn and I want, I think the world deserves that. The idea of open access to education but at the same time you have to premium offering of else how do we eat? That comes into question. It's always a balance thing, like with everything, right? It's all how doe we crosstalk 00:27:52. Henry Zhu: Yeah I think it's justifiably in the sense that if the paid content is advanced it's like, "Well they already got value from the free stuff and people are more willing to pay for something that they probably wouldn't look at for free anyway." Where it's, it wasn't accessible before but now because they have the knowledge they're willing to learn more. That seems like an easy way to keep going with that idea. Joel Hooks: Yeah I mean it's like reciprocity, right? I've got free, you're able to prove that you can deliver the value so they can with much less risk approach it versus some get rich quick type scheme. That's not what we're talking about. It's like, "Hey heres some value you'll learn. We can prove that by giving you this thing and the if you need to learn more and you want to advance further then with little risk you can give us some money and get the more advanced stuff." Which is fair and equitable. It gets tough and especially with access globally because countries on the African continent or South American have a really hard time paying U.S. developer products. And that's been, making it fair and equitable globally has been an interesting challenge that we didn't even consider when we were starting it. Henry Zhu: Right, yeah that's interesting. I think the point about not getting rich quick, but not just quick but I guess, or the rich part, but the I guess it's like how do we show people that what we're about isn't the something really fast or hype or these releases and downloads but we're here for the long term. And it's really, I guess it's really about trust, right? And making sure that from X years from now this is still a relevant, helpful product or whatever it is. But it just means a lot more to people than just like, "Oh this thing is just something I need right now." Joel Hooks: So this all kind of goes back to me to my friend inaudible 00:29:51 Davis has an expression that he likes to use it's living an unconventional life of my own design. Your recent journey has really made me think of that and this idea that we live in a time where you can what you're up to I think is pretty awesome. Joel Hooks: Yeah it's so important crosstalk 00:30:59 health absolutely thew most important thing. Mental and physical health is the most important thing we can have. If you don't have those two things it's hard to have anything else I think. Henry Zhu: Yeah and just to go back being sick this last week every time I get sick it's another reminder to me all those things that I cared about before don't matter at all. Whether I was getting angry or other people complaining or whatever it was when you're not feeling well none of that matters at all. It helps you think about what your priorities are and hopefully when you're not sick you'll remember that. Joel Hooks: Yeah I think that's probably one of the, breaking off and being independent how do you deal with being sick? And can I still take vacations? And how do I get breaks? Because you have to have them, right? I think some people think they can work 365 days a year. Henry Zhu: Yeah that's really interesting because I almost feel like a lot of people that are willing to take that, I don't know if that's true, but if they're willing to take that step to do it on their own they're probably people that work a lot or they're used to working a lot versus just chilling. Because I feel like if they did that they probably wouldn't be willing to to take the leap in the first place. So then its like yeah how do you deal with not knowing when to take vacation? You probably didn't take vacation where you were working before and so now no one's telling you at all and you could be doing it at any point but then you decide to just do what you're used to or the default. Joel Hooks: Yeah. I know it's been hard with Egghead and trying to get a business off the ground. And when it first started it was just me and John and I was doing all the website and marketing and all that stuff and I was doing long weeks. Even then it was like 50 hours I would never, being able to work 80 hours a week has never been neither appealing to me or something that I felt like i would be physically be able to do. And I know some people do it but I feel like you're kind of borrowing from your future self when you so that. You're kind of saying, "Hey I'm gonna use this now but I'm gonna pay for this later." Henry Zhu: Exactly and if, like you said, this is more of a lifestyle change or the future of what you're doing then you should care about your, yeah the long term. And the long term is definitely your health. Joel Hooks: And is burnout preventable. I would say yes and I heard I think it was from the change log and you were on it and a woman on it was talking about burnout and the, it's the same medically the diagnosis is the same as clinical depression. Burnout and clinical depression are the same diagnosis and present themselves in the same way. Which makes sense to me I've been burnt out and I've been depressed and they feel very, very similar in terms of how your body does that. Joel Hooks: And how do you prevent that and what kind of regiment does it take because Babel needs you, they need you as the maintainer and you're willing to do it and you enjoy doing it and how do you maintain that kind of pleasure and enjoyment and making it something that you want to do long term because nobody wants you to leave and how do we make it to where you should be able to, "If I left it would be fine but also i want to do this for a long time so how do I make that happen?" Henry Zhu: Yeah I kind of feel like, I don't know why but in the end I feel like it's basically just a sense of humility and thinking about how your pride. The fact that I think that people really need me it's because I think that I'm that important. If I left and suddenly everything would be broken, or whatever that kind of thing. And even if it was true I don't think it's worth the sacrifice of your current state if in the end, especially because depending on your health situation you might have actual problems not just getting a cold but actual issues. Henry Zhu: So I gave this example in a talk where I was, you know how you go on the airplane and you have to put on your seatbelt, or you put on your mask first and then you put on your child's mask for oxygen. It's like you gotta help yourself before, even if your desire is to help other people, if you can't even help yourself then maybe everyone's gonna spend all their time trying to help you too. So it's hard because you're like, "Oh I'm being selfish." But helping yourself in order to help other people, if that's your actual end purpose or goal, it has to be part of the crosstalk 00:35:26. Joel Hooks: Especially long term, right? If you want to do something and you're like, "I want to still be doing this in five years." It's just so important. And you can take it as I suppose selfish and I think we should be though. You should be, it's not to anybody else's detriment but to, taking care of yourself and making sure your needs are met is absolutely important. And I see that with Egghead and ultimately one of my goals for in terms of running a business is to make it to where I'm not as essential. Joel Hooks: And it's not this cult of personality around a single or small group of individuals but it's kind of this collective thing that we're all working towards. Henry Zhu: Yeah that's so good. I want to think of myself as replaceable even though, or not even just so that means that if you're doing the same thing over and someone else can do it now you can think about more higher level meta level things. SO it's like as a maintainer the way I think about it is how do we think about the more long term things and also the higher level things versus just cutting out the fires. Henry Zhu: Because we could do that all day and we basically did that for I don't know like a year after I guess took over with some other people. At that point I wasn't thinking about vision or anything I was just like, "Oh I got handed or inherited this code base." I guess I considered it a code base at the time. So all I thought about was fixing bugs. And then later when I realized, "Well I guess nobody is stepping up and the thing we're working on is a lot bigger than just fixing bugs. Henry Zhu: Then we should think about what the future is." And, yeah just to think a little bit beyond the code and that kind of helped me to think, "Oh it's not just about code. It's about where this project is going in the ecosystem and the people and all that." And I think that was better because the reason why a lot of us get so frustrated is because we're so frustrated with the small things. But I fee like if we do have that vision in mind then we're willing to take on those small boring things because they're all at least towards the purpose that we agree with. Joel Hooks: Yeah I think developing my ability to say no have been also an interesting crosstalk 00:38:10. Over time I can say no. At first it was like, "Hey we should have this partnership." And I'd be like, "Oh okay we'll do that thing." And then now I'm like, "Um, no." That's been a big, and it's just hard. That word is actually hard to say a lot of times but to me the ability to say no has been a big mental relief. Henry Zhu: Yeah I think I'm still learning that. So I think I say yes to basically everything at the moment. Joel Hooks: I think sometimes there's some periods in life where that's great, like, "I'm just gonna say yes to whatever comes my way. And accept this ans see how the opportunities..." But then, to me, that was part of the learning experience. "Well I need to say no." Joel Hooks: I gotta get my nine hours. And I didn't, I used to not. I'd go to bed and I'd do four hours a night of extended periods of time. And I'm 44 now so I think as you get older it also changes too but even just thinking back like, "Man I probably would have just been saner and more pleasant to be around for sure if I had a decent amount of sleep." Have you read the power of habit? Have you read that book? Henry Zhu: No I haven't someone did recommend it to me. I read a similar book but it was more specifically about spiritual formation but it was also about habit. It was called You are what you love. And I think it probably talked about the same stuff. Joel Hooks: Yeah, yeah. It's, I don't know for any of this, developing, doing what you're doing, or building a business or anything your habits are just living a life. Your habits kind of define I think a huge portion of what we do. Good or bad, right? It's interesting because good and bad habits you can develop both of the them and the process is actually very similar for both. Henry Zhu: Yeah, I think one of the main points in the book that I was reading is that you can't fix bad habits by thinking differently, you have to create new habits that replace them. And I think the problem is that we all tend to think as long as I know the right things, I'll change. But if we don't actually do anything to change, we're always thinking that we're doing the right thing. Joel Hooks: Another great habit resource is a Stanford professor BJ Fog and he has a website called tinyhabits.com and he signs up, and he's basically doing research and he's been doing it for years and years but you sign up and he starts sending you these little emails and you develop a tiny habit. Like you want to exercise more so instead of saying I'm gonna go to the gym every morning and this hour long routine you simply after you brush your teeth you put your walking shoes on, that's the habit you develop, right? This, how do we incrementally build toward a habit versus a lot of times we'll take on something and it's this huge commitment and your brain absolutely shuts down. Joel Hooks: If you're like, "Oh I want to lift weights for an hour three times a week." And your brain's like, "I don't think we're gonna do that. That doesn't sound good at all." So how do we develop these habits in an incremental way. To me it rolls back to building software. This incremental approach versus massive change. It makes a lot of sense, right? If we can be agile in our habits, and that's lowercase agile, in our habits and how we work and do these small incremental improvements over time you get this sustainability. If you're working in a positive way then long term you end up with positive benefits and positive habits that you build over time. Joel Hooks: Which to me it's worked out pretty good, I think. I know I'm a big ball of all my habits that I've accumulated over crosstalk 00:42:22. Henry Zhu: Yeah I think it's just I'm starting off with just trying to be aware of those are. Because a lot of them are things that you don't realize that you're doing. So I guess that's a good first step. Joel Hooks: Yeah, for sure like acknowledging or understanding what it is you're up to. Henry Zhu: Yeah like why you're being aware of what they are. And a lot of them are just unconscious. So I think that's the problem, yeah. Joel Hooks: So I think we'll wrap it up but let people know just where they can go and attribute to Babel and to your Patreon to support your effort. Henry Zhu: Yeah, so if you want to contribute financially my Patreon is patreon.com/henryzhu which is just my name. Or you can donate to the project which I can take out of opencollective.com/babel. Yeah we're also looking for people that want to get more involved as well. I'm trying to figure out a better way of doing that because I feel like it's easy to just ask for contributors and then not really have the resources to maintain all that work. So maybe it's better to do more of a mentoring thing, but we'll see. Joel Hooks: Yeah mentoring, coaching, sponsor type approaches is interesting, I think. Henry Zhu: Yeah the whole catch all, "Hey I need a hundred contributors." And now you're like, "Well now there's a hundred PR's to review." I would like to but it's just not everyone has time to do that. And then everyone else will go away thinking that we're not, we don't have the time or we can't help and then, yeah. Joel Hooks: You know what's interesting there to me, we have all these code schools, right? What if mentoring or coaching was something that the people could do where they had goals and were able to, it's almost like a patching on level, like a support level. Henry Zhu: That would be funny. Joel Hooks: Where they have to apply and they could send in an application and become a mentee effectively. I've paid a lot of mentors over my years for both business and development because I was 35 when I switched to development and I had to. I had four kids, I couldn't all of a sudden be a junior developer and lose my salary so I had to figure it out and I did that by paying people. And I did that for Egghead too I pay, I still do, I pay people that know what they're doing reasonable sums of money to give me advice and help me out. But somebody that's gone through code school or is in code school and wants to do extra work that might be, that's kind of something you could do where you'd work directly, build relationships. And it's almost like a support contract in a way. Henry Zhu: Yeah but for that person, that is interesting. Joel Hooks: You'd want, like application, you'd want to vet and make sure that people are serious about what they're doing and that it would be a good fit and all that stuff. Henry Zhu: Yeah because there's plenty of people that just message me like, "Hey what's your view on this?" I'm like, "I don't know anything about that." Joel Hooks: I imagine you get people that email and message you that are like, "Oh can you mentor me?" Joel Hooks: Yeah, it's good too I mean focus and how much stuff can you know about in a given time, right? And do you want to be an expert in everything? Henry Zhu: Yeah and I don't, I guess I don't feel that sense of, I guess that's inaudible 00:45:49, right? Of random stuff that comes out I just I don't, it's not really interesting to me or appealing. Joel Hooks: Yeah so my confession I haven't even done a hello world in view, for instance. Joel Hooks: I know it's good technology, I know it. I'm just, I don't need it. I'm fine where I'm at right now. And I used to be I would be all over it. Like, "Everybody loves this it's super hot and it's obviously a good kit." So I'd have to learn it also. But at this point in my life I'm like, "You know I've got a lot going on and it will still be there when I'm ready if I need that." Henry Zhu: Yeah that's totally fine. Joel Hooks: It's not going anywhere, right? This is as as much of a problem for me that in five years I will still be working on problems in this space. And people are like that with entrepreneurship too and the whole serial entrepreneurship, "I gotta start crosstalk 00:46:52 I gotta have a portfolio of business." I'm like, "You know what? I like my one little business I don't want to have to ideate on new businesses all the time. I just want to make this one better for the people that use it now." Henry Zhu: Right, yeah I think focus, that's really important too. And you know maybe I got lucky and I picked a project that just happens to be part of the language. So in some weird way in inherently isn't really gonna go away anytime soon. So there that but I mean I do like what it means and what it's doing. So, yeah but what's weird is in the last, I guess, few weeks we've been getting a lot more donations which is pretty crazy. Joel Hooks: Oh well your marketing career's gonna work Henry. Henry Zhu: You think so? Okay. Joel Hooks: I mean all these podcast appearances and going traveling around and meeting face to face and people will see you crosstalk 00:47:43. Henry Zhu: Yeah face to face definitely although now I did that whole thing and I don't really want to travel that much. Joel Hooks: Yeah well I mean you'll see and uptick and then take a break. Joel Hooks: And you're basically in a DevRel job. Joel Hooks: That's kind of, which is good and bad. It's grueling the whole conference tours crosstalk 00:48:06. Henry Zhu: Yeah and also the conference thing is like, "I really want to meet people but I don't care about traveling that much." Or maybe I just haven't done it enough to care. It's funny other people in my situation they're like, "Wow you don't even have to live anywhere and you can just..."
Joel Hooks: You live crosstalk 00:48:22 so going other places is kind of like, "Hmm, crosstalk 00:48:26. Henry Zhu: Well they're more like, "Oh you can be a..." what's it called, a digital nomad. You Airbnb everywhere and you don't even have any stuff with you and it's free. But I'm like, "No, I don't think that's free at all." Joel Hooks: Yeah, I really like home. I love the comfort of my house and my collection of things that I have to make me more comfortable. Henry Zhu: Right and then your family and your friends and people that are in your city and all that. Joel Hooks: It's different when you have to travel all the time. Henry Zhu: Yeah Salesforce they're giving 1000 a month for nothing and then Trivago you know the same company that donated to Webinaudible 00:49:05? Henry Zhu: Well, they gave 10,000 a month which was crazy but they're going to give us 2,000 which is the highest out of any company. Henry Zhu: Even with that I'm already pretty good. I guess it just depends on how we want to, how do we split it per se. I don't know how badly other people want to do this so there's that. Joel Hooks: Well, I mean i think the idea of having the ability to say I don't know bring on people and actually take on almost contracts, right? Joel Hooks: Bring on folks for a specific targeted task. That's interesting in terms of, at the end of the day you run it like a business I would think. The way you described it so far it's very much like, similar to running a non profit or a corporation or whatever, it is a business. Henry Zhu: Right, yeah, it has been interesting the fact that there are no companies that donate to inaudible 00:50:01. They only do to open collective because they want to support the project. Joel Hooks: Yeah, they definitely, I can totally see that. I mean, it doesn't really make a difference it's just the perception of where that money is going. Henry Zhu: Yeah. And then so this hasn't even happened yet but this, I got an email, this random company I guess they're doing something with Crypto or open source and they raise money and they're going to give more than half of it to open source. And I guess they picked one of us as one of the projects. Henry Zhu: Which is pretty crazy. But yeah, I guess that will, I don't know when they're going to announce that but it will happen pretty soon. Joel Hooks: And I think core java script and then up through Babble stuff is workshops especially onsite corporate workshops and then even selling tickets. My max rate for that, my record rate, was 15,000 dollars a day. And then, my general rate was 10,000 dollars a day and companies ate it. Henry Zhu: They were just like, "Whatever." Yeah. Joel Hooks: I mean you have to do a little sales, you have to talk up what we're going to learn and what value it brings. But there's so many companies that need core java script training and I gave the same training 30 times at 10,000 dollars a day. For a two day training it would be limited to 20 people but we have 40 well we'll do two trainings then back to back in the same week. And it's fine. Some people, "that's too expensive." To which I always meet silence, never make excuses for how much you're charging and I always charge inaudible 00:51:38. If they're like, "Oh that's very expensive." And then that's a negotiation tactic and it actually works pretty good because instead of offering an excuse I'll just make them explain it. Henry Zhu: Yeah, there is no excuse. Joel Hooks: It is what it is. If you don't like it that's fine find somebody else. You can definitely find somebody else that will be less expensive whatever quality they happen to deliver. But you're confident in your product and the value you're delivering you don't have to be a discount operator. Henry Zhu: Right. And especially if it's about Babble I mean who else are you going to ask to do it then? If you're not going to ask someone that woks on it then I mean you can go ahead and do that. Joel Hooks: Yeah, it's like inaudible 00:52:19 I want Michael Jackson. Joel Hooks: That's who I want to deliver that or whatever. I think that's a great way but honestly it doesn't even matter. I mean that's great they can throw you weird curve ball questions but I could given at this point in my life feel like I could do a Babel workshop with enough preparation. And I crosstalk 00:52:39 to but you add so much value to it, right? You're Henry Zhu and like you say who else would you want to do that? And that in itself adds credibility and it makes it stick too in the company. Having you do it is gonna be a bigger uplift and if you think about it that way in terms of funding how many 10,000 dollar a day workshops do you need to do in a year to cover your expense. Henry Zhu: No, not that many. Joel Hooks: Yeah so it's like every three months you, well what it does is it removes the sales burden from you. Joel Hooks: It doesn't matter, I don't need to go to your shop I'll accept any 10,000 dollar a day offers that come my way but I don't really need it. So in terms of negotiating from a position of power. Henry Zhu: You can say no basically, yeah. Joel Hooks: Yeah like, "No that's fine it doesn't sound like this is gonna work out." If they're weird or they have weird requirements or whatever. Oh and also always make them pay for the travel. Less expenses not covered expenses. Henry Zhu: Yeah. This is funny when we talk about it, like the workshops and all this stuff, it almost feels like it's too easy. Joel Hooks: It's not really that hard. Most people don't want to ask for money and they feel crosstalk 00:53:48 about it and they just want to work a job. Joel Hooks: Let somebody else handle all of that and I think, you've already taken the hardest step cutting the apron strings from a corporation and going independent is super hard mentally. And doing that is such a staggeringly difficult mental leap. So once you've done that it's like, "Now I just have to eat." And you have the knowledge though. That's the thing you're an expert and you have actual knowledge and that will provide value to others. You're not selling them snake oil. It's not, you're not ripping them off. Joel Hooks: And when I first was doing it I was like, "Oh am I ripping people off? Is this ridiculous?" And then I was like, "No, really no I'm not." Because I would get called back. I would have repeat customers and that was validating, right? I'm like, "Oh, okay they're calling me back and I am an expert and I do know this stuff and I can answer their questions." I've sold support contracts, like email only support contracts, where you have high availability 24 hour turn around on answering email questions for like 5,000 dollars a month. Joel Hooks: And that's valuable, right? I would solve, if they were bickering internally about some sort of technical issue, they would explain it to me and I would be like, "Oh yeah well if you go with option B I think that's would be a better one." And that's valuable to them as a mediator. There's all sorts of small things, not even getting into to the content marketing which selling content. What's interesting once you make, like and Egghead course, taking crosstalk 00:55:12 which is three years old and he's made a quarter million dollars off of that course. And that's amazing to me though, right? He just had this little library, it was 90 lines of code at the time, crosstalk 00:55:25 pretty, it was tough recording it but then you take that hourly and it's like, "Wow that's really great." And so many people have watched it a benefited from it. Yeah but I'm gonna get back to it and it was awesome to, I guess to meet you, really and talk to you. Been a good conversation I enjoyed it. Henry Zhu: Awesome, Thanks Joel. All right, bye.